" I am OK, my wife. I need information." "Ok, what information do you want?" "I am suspect she having AIDS. Want to check her"
"Permission no problem. when I bring her?" What else should we check for? Stumped, right? You are wondering what is going on? 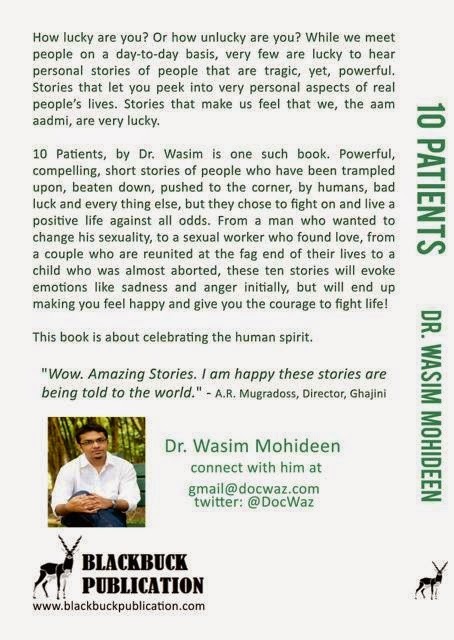 Well, this is how one of the pieces in Wasim's book "10 patients" goes.. Each of the pieces are of real life instances that he has come upon, people who will have you wondering "is this for real?" ,"do such things actually happen" and every other possible gaping question will come bursting into your head. We all come across weird people, wacko people and then there are crazy people, but those who are featured in this book are none of the above, they are regular people except they have been through a lot or are going through some very troubling times. And then there are those who have you amazed, with their confidence, zest for life and positive attitude. When he shared the news of having a book ready to be published we wondered what it would be about. Would it be a piece of fiction, or about food [ he is a foodie] but this was quite a surprise. And I do hope he goes on to write more such books, not only are they interesting to read it gives us a reality check on life as well.. Thanks for the most useful and wonderful part of review about the book. 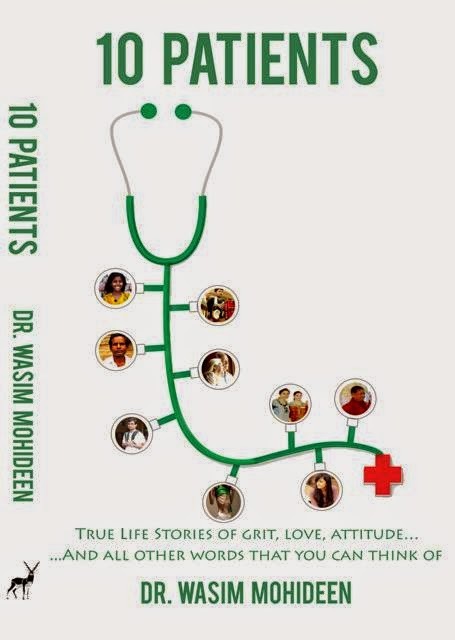 As this book simply tells the world about how the patients are being treated by the Dr wasimmohideen. On seeeing this review,i would love to learn about how to review an article, book or a poem. I have been working as a research paper writer in one of the best research paper writing service website which has been available all over the world. If i have also learn about how to review a book, article or poem means, then it would be very helpful for me to earn more money and also it will be very helpful for me to guide the people who are all approaching me in a right way.